The following rumors supposedly come from the next issue of GameInformer magazine. 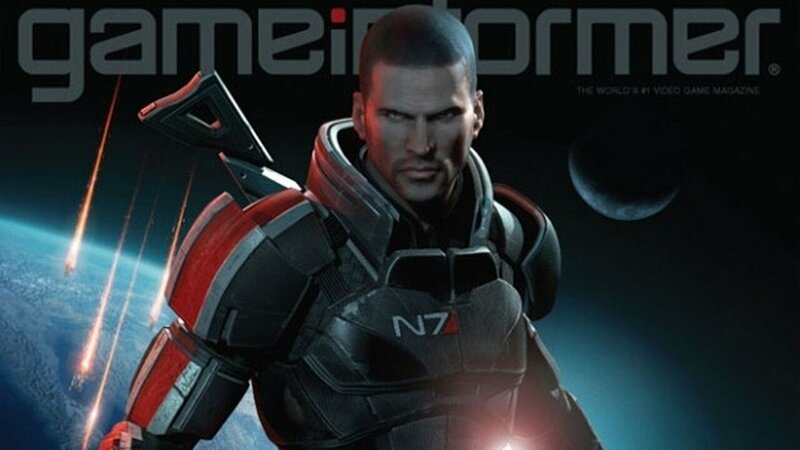 A GameFAQS user claims to have gotten his hands on the next issue of GameInformer, which means that we’ve now got a few leaked details for Bioware’s Mass Effect 3. Given the source, all of the information is strictly rumor, and it may also contain spoilers, so keep that in mind before you contine reading. Getting into the story details, Mass Effect 3 will apparently begin on Earth with Commander Shepard on trial for the events that took place in the Mass Effect 2: Arrival DLC. The trial is interrupted when the Reapers invade Earth, leaving Shepard to battle his way back to the Normandy. Depending on the survival outcome of Mass Effect 2, returning squad mates include Liara, Ashley/Kaiden, Garrus, Wrex, Mordin and Legion, while a character named James Sanders will be a newcomer to the team. The Illusive Man, meanwhile, will be back in a more prominent role, and will pursue Shepard with the help of the Cerberus organization. As for the gameplay, Mass Effect 3 will attempt to balance the RPG elements from Mass Effect 1 and the shooter elements from Mass Effect 2. Players will have greater freedom when it comes to customizing a character’s abilities and the game will have larger skill trees with powers that evolve multiple times. The weapon system will be similar to Mass Effect 2, although every character will be able to equip any type of weapon and limited slots will be tied to each character class. The Soldier will be able to equip all weapons, while Adepts, Engineers, and Sentinels will have two slots and Vanguards and Infiltrators will have three. Weapon modification will also be possible, and will allow players to swap out parts like barrels or scopes to alter weapon performance. Finally, like all Mass Effect games, Mass Effect 3 will have multiple endings. The members of your squad and the allies you recruit will change the course of events, and – despite even earlier rumors – there will reportedly be no multiplayer in the final chapter. Again, none of this is confirmed, but we’ll know for sure once the next GameInformer makes it onto shelves.